ORPHANED: Will she find her missing sister? (Elkridge Series Book 3) - Kindle edition by Lyz Kelley. Literature & Fiction Kindle eBooks @ Amazon.com. She's attracted the attention of the last man to see her sister alive. Jenna is desperate to find her younger sister. Ripped away from her when she was seven years old, Jenna believed Caitlyn the lucky adopted one. Yet, Caitlyn has vanished under eerie circumstances. Does Grant know where her sister is? Grant has returned to town to take over his ailing father’s law practice. He craves a settled life, and Jenna seems the perfect fit. His plan is to marry the adorable baker, and no one will change his mind—not even Jenna. Yet a stranger brings a shocking surprise that test Jenna and Grant’s trust. If you love a sensual contemporary romance novel, with deep emotional topics, a thread of suspense, and a cozy happy ending, then ORPHANED is for you. Get ORPHANED to unlock the emotional tale today! "Loving her didn't scare him. Convincing her to love him back scared the crap out of him. Because what if he couldn't." I live in a small community in Colorado with my husband and several four-legged family members. I&apos;m a disaster in the kitchen, a compulsive neat freak, and tea snob, a lover of board games, gardening, and painting. A healing love is at the heart of my book series because I live to write about everyday heroes. Creating wounded yet amazing characters--discovering what drives them, frightens them, heals them, makes them laugh--is what gives me joy. 5.0 out of 5 starsA wonderful recipe for success!!! Readers, grab a large mixing bowl. Add Jenna, a baker, with so much love to give, but with a backstory of loss and deep-seeded trust issues. Mix in Grant, a man who looks "more delicious than one of her chocolate cream pies," who falls for Jenna the moment he sees her and vows to protect her no matter what. (Swoon, I know!). Then carefully stir in the wonderful support cast, both friendly and adversarial. Blend together with mysterious intrigue that may just hint at the mystery that takes place in her prequel, Regrets, but still remains unsolved. Finally, frost with a cute little tyke, Kyle, who is sure to melt the chocolate chips in your heart! In Orphaned, book 4 of her wonderful Elkridge Series, Ms. Kelley continues to write in a style I truly love and I can't wait to read her next book. From sweet to savory, and from heartbreaking to inspiring, this book is all about love and trust. If this book doesn't tug at your heart, nothing will. This whole series is a recipe for success. I heartily recommend it. 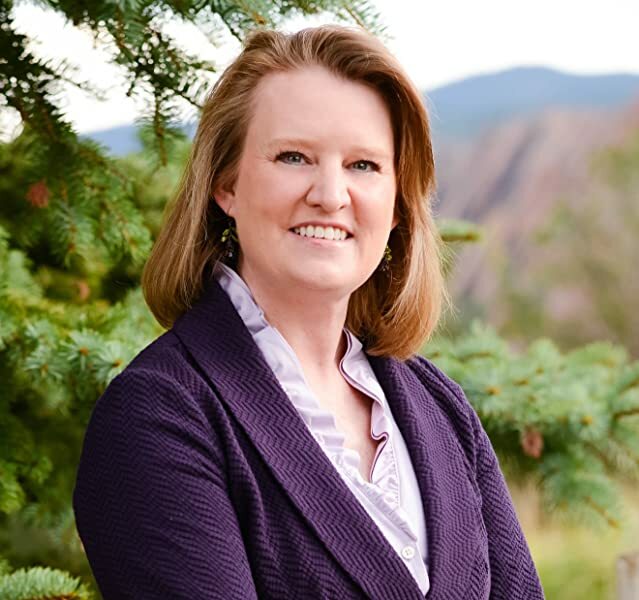 Kudos, Lyz Kelley! 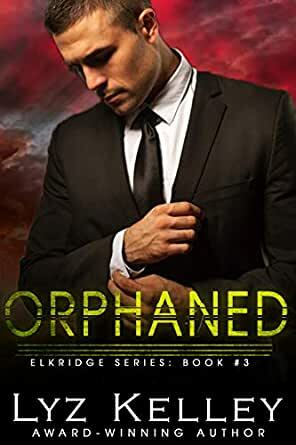 It's official: Orphaned is my new favorite book in the Elkridge series by Lyz Kelley. First I thought it was Blinded (#1); then Abandoned (#3), and I reserve the right to change my mind when Rescued comes out; but for now, for me, Orphaned, the fourth book in this stunning series, has it all. Heart -- so much heart. Angst -- so much angst. Suspense that will make you question your sanity for reading it, but will hook you so hard you can't stop. A child you will adore. A hero and heroine who are utterly unforgettable. And, after a long hard journey . . .
A happy-ever-after you'll want to go on and on and on. I have another confession to make: it took me a long time to get attached to Jenna, the heroine. Her stubbornness made me want to tear out chunks of my own hair. But the beauty of her character is that she isn't perfect; she's flawed, and she knows it. And once you understand her backstory, you can't help but feel a sense of loss for the childhood she never had; fear for her missing sister; longing for acceptance; and desperation to make things right. Grant Newhall, on the other hand, is perfect. In every way. He's the embodiment of the man you'd walk over hot coals to have, and I'm not overstating that in any way. You will fall fast and hard for him. I'm more than smitten ... I want more. It's hard to review this story without spoilers so let me just say if you love a strong story that embodies the very best and worst of family dynamics; with chemistry that will curl your toes; and a redemptive theme that will push all your buttons, don't wait -- let Grant and Jenna onto your Kindle and into your heart today. Jenna was a great character who I really did enjoy even when the story made me cry. Yes you will need some tissues for this one. I loved it! Jenna and Grant made good chemistry even when they seemed to be apart. Jenna gets her nephew Kyle and ends up trying to adopt him. Kyle himself really made an impression as he was going through a lot with losing his mom and living with Jenna and Grant. This story was very emotional and yet the town itself was just as great with the characters we have followed throughout this series. We still get to learn about other characters that we have read in previous books. All in all this book made me want to dig out some ice cream or chocolate to go with the tissues. You don't have to read any of the other books in this series as you could read this one alone, but I would say to read the entire series as the town and the people just add to the ongoing stories. I love this book! I think I say it about every book in this series. Each one gets better and better. I love Jenna and Grant. They are amazing people. These are two people I would love to have around and as friends in real life. Their story is beautiful and emotional. (have some tissues handy) This author creates such a real world and characters. I'm excited to see the stories she comes up with in the future. I 100% recommend this book and this whole series for everyone! Back to Elkridge, this time with a total change of pace. Ms. Kelley continues to create real people struggling to overcome real problems, both physical (in this case diabetes) and emotional. And the plot has more twists and turns than the Colorado roads that surround Elkridge. You can't help but root for Jenna and Grant as they deal with his mother-from-hell and the little boy--will not say too much because that will give away the plot--but just be ye warned, you will need a box of tissues near by as you tear up at the end. This book made me cry it also made me find faith in others, this book will make you read until it is finished. I know I want to re-read this one when the series is finished. Would I recommend this YES. I received a free copy of this book and have now bought it.